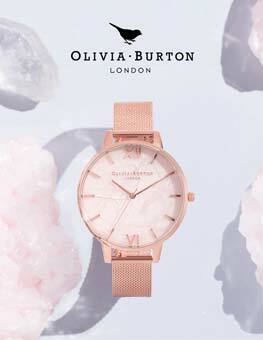 Very nice watch, perfect size for a petite lady’s wrist and very elegant. 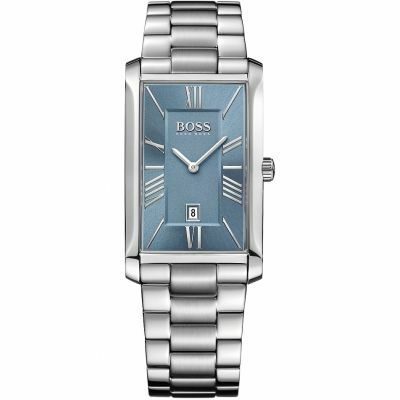 I’ve bought this Hugo Boss watch - model 1502396 for my wife through Watchshop website. 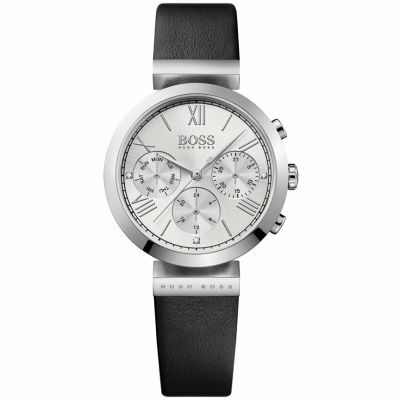 The watch was delivered by the courier, very well packaged and in a Hugo Boss presentation box. 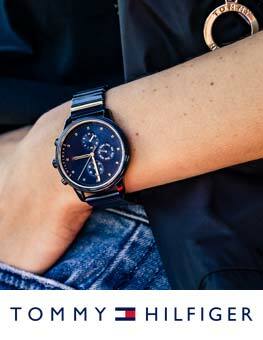 The watch looks beautiful on my wife’s hand and she is very happy with it. 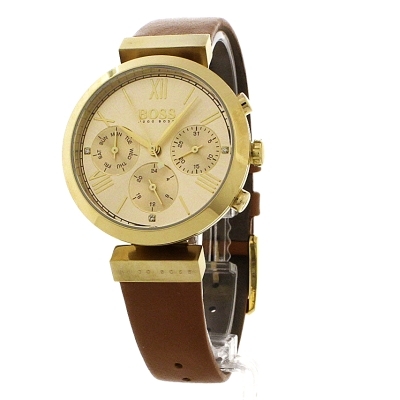 All the components of the watch are very well made from quality materials. The strap is made from light brown leather exactly like on the picture, which looks great and feels very comfortable while wearing my wife has told me. It has a gold metallic look and you can feel its quality just by touching it, unlike some expensive watches which we had opportunity to try on the high street - which look great on the picture, or through the glass, but when you touch them you feel the cheapness of the components they are made of. The gold colour of the watch resembles more the real gold colour, not a cheap shiny gold which many watches have and is very well balanced and looks great from every angle and under any light conditions. The glass of the watch is very clear and when it was delivered it had a plastic sticker on it to protect it from scratches. The watch is very easy and simple to set up, I’ve managed to learn the way to set it up in 2 minutes. The middle dial of the watch sets up the hour and minute tips like a conventional watch as well as 24 hour clock, just by pulling it up and turning it around. The top button sets up the date of the month, just by pressing it until you get to the required date. The bottom button sets up the day of the week, the same principle, just press it until you reach the required day of the week. It has three little diamonds on 3 o’clock, 6 o clock and 9 o clock, which are just perfect in size and add more feminine look to the watch. 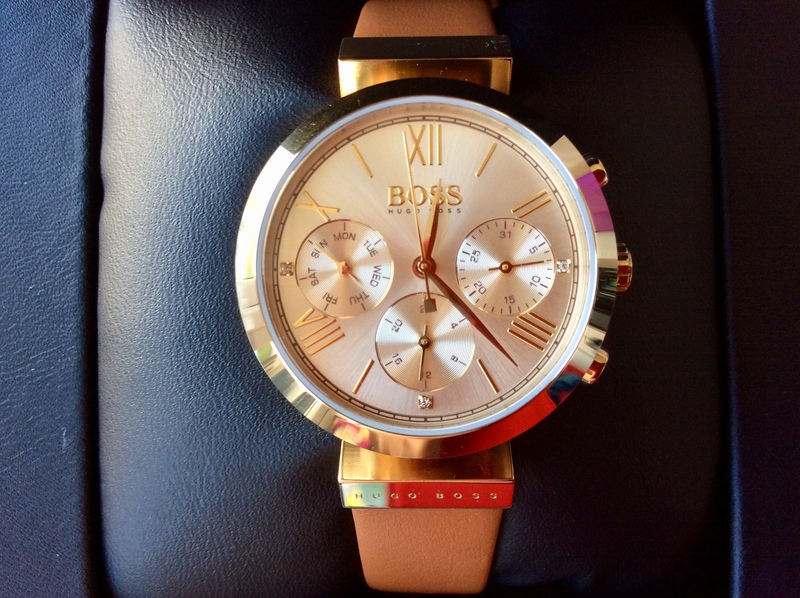 This watch is perfect for medium size women, it is neither heavy nor light, its weight is just ideal and as I’ve mentioned earlier my wife simply loves it. 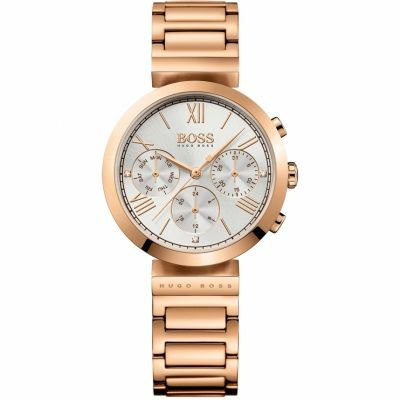 I would highly recommend this watch for any woman who would like to have an every day, comfortable watch, which is also well presentable for a special occasion. 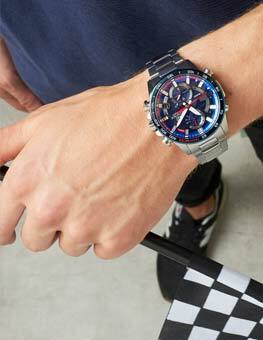 Amazing watch, superb delivery by watch shop. Very well packed and got genuine original product with guarantee. Delivery was tracked and got timely updates. 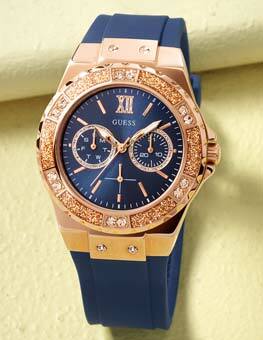 Very Good job done by the team of watch shop. They checked the watch for battery, product, quality, damages etc before delivering. Thanks.